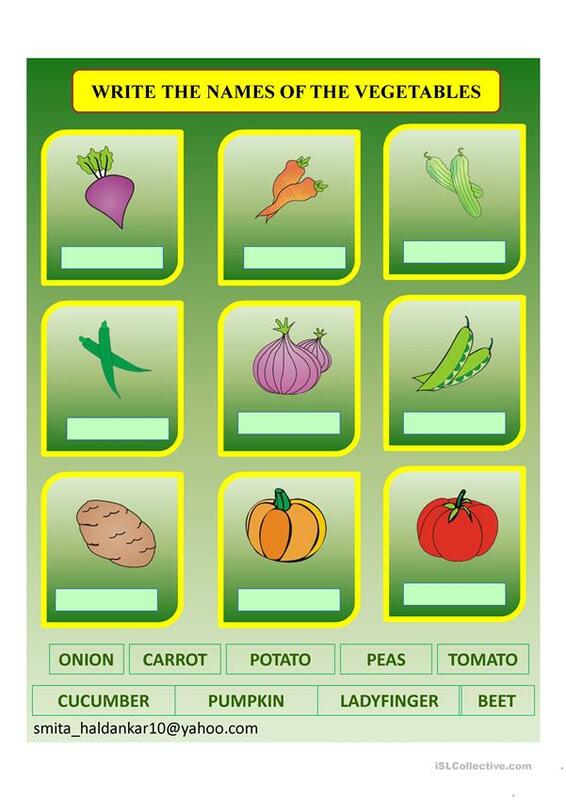 IN THIS PPT SS WRITE THE NAMES OF THE VEGETABLES. IT IS EXERCISE OR TEST. I HOPE YOU WILL LIKE IT. This printable, downloadable handout is best suited for elementary school students and kindergartners and nursery school students at Beginner (pre-A1) and Elementary (A1) level. It is great for revising Word classes in English, and can be used for improving your students' Spelling, Reading and Writing skills. It features the topic and words of Food.